There really is nothing like a proper good pamper evening around the festive season. Who doesn't love getting cosy while the rain falls outside and having a full on head-to-toe beauty regime? Luckily, the babes at The Body Shop have got us covered. I'm sure you already know about their incredible range of gorgeous bath and body products which come in all kinds of scents. 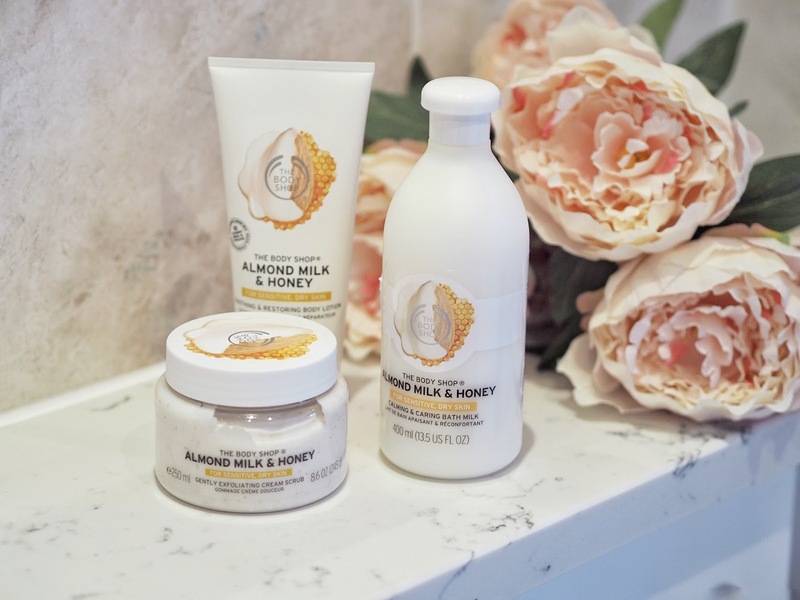 My favourite of the bunch though has to be the Almond Milk and Honey collection* (gifted), which is designed especially with people who suffer from dry skin in mind (aka me). For one thing, it all smells absolutely incredible! It has a rather sweet scent but nothing too overpowering. Pretty much the perfect Christmas gift if you're worried about choosing a scent for someone! There really is nothing worse than coming in from the cold to find your skin drier than the sahara. So, the other day after a chilly day outside I ran myself the deepest bath you could imagine, poured in my Bath Milk and chilled to the max. Youtube videos on, candles lit, products at the ready. It was absolutely heavenly. I think my favourite of the three products that I tried out has to be the Gently Exfoliating Cream Scrub. It's just coarse enough to actually get rid of dry skin but not so harsh that it makes the areas sore. 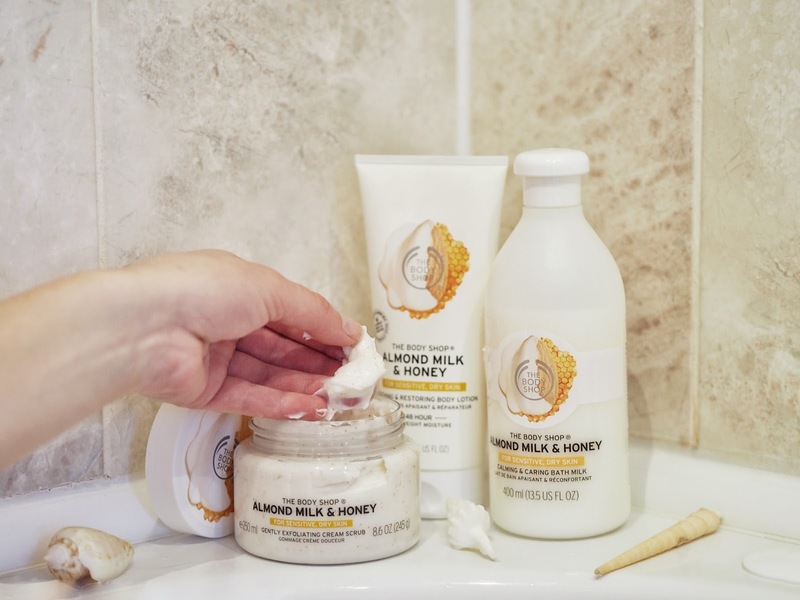 It's not really hard for me to sell The Body Shop's bath products because they're all so incredible, but this set in particular is a new favourite for me! P.S. This post is part of The Body Shop's advent calendar! To see all the other lovely posts, click here!